Air Canada inaugurated a new, non-stop Toronto-Mumbai service, the only non-stop flight from Canada to India's largest city. 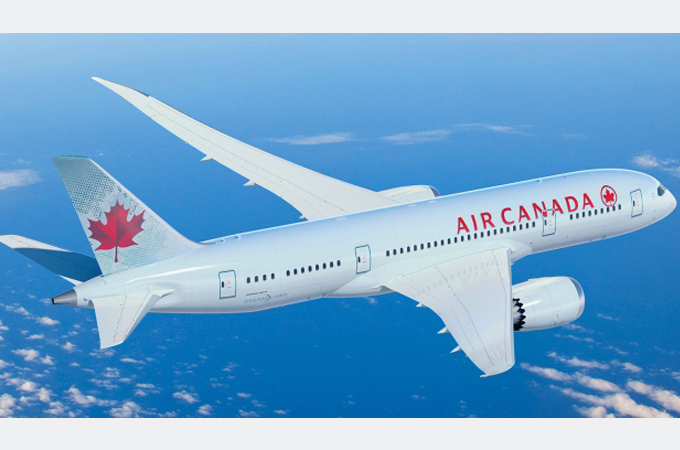 The four-times weekly service will be operated with Air Canada's most modern aircraft, the Boeing 787-9 Dreamliner. With the new Toronto-Mumbai route, Air Canada now offers three Boeing 787 Dreamliner routes between Canada and India, including year-round daily Toronto-Delhi service and seasonal Vancouver-Delhi service, which resumes in October and will be expanded to up to five times weekly this winter from three-times weekly last winter. Toronto-Mumbai will operate year-round with Air Canada's state-of-the-art Boeing 787-9 Dreamliner. The aircraft features 30 International Business Class lie-flat suites, 21 Premium Economy and 247 Economy Class seats, with upgraded in-flight entertainment at every seat throughout the aircraft. All flights provide for Aeroplan accumulation and redemption and, for eligible customers, priority check-in, Maple Leaf Lounge access, priority boarding and other benefits.